Mike: I first came across worthofweb.com when your website value calculator came up in a search result on Google. How accurate is the tool? Aykut: First of all, thanks Mike for having me here and for your interest in my project. When I first created the concept of Worth Of Web Calculator, I knew that it is almost impossible to create a website value calculator which is 100% accurate for all its estimates. That’s why I tried to create a tool where you can compare your website with your competitors and also track your progress in time. My algorithm uses public rankings of websites, for example, recently it is getting Alexa Rank of a given website and starts the calculations based on it. This affects the outcome of the algorithm of course. As your traffic increases and your public ranking increases accordingly, you will have a higher valuation on worthofweb.com. Mike: The tool also estimates how much revenue the site can make per month. How accurate have you found this to be and what goes into that valuation? Aykut: I need to make it clear, every website is unique. Some are serving richer countries, some poorer ones. Some are content websites which have revenue from advertising and affiliate offers. Some sell stuff online. Some are just for brand awareness. Some are for nonprofit organizations. Some are for institutions of the states. The list goes on but as your readers can understand, there is no standard calculation here and there can’t be. So, I made a decision here to assume that your website is making revenue a little bit from advertising, a little from affiliate offers and a little from direct sales. So my algorithm makes an educated guess considering this mixture. Mike: worthofweb.com is more than just a website valuation tool. What else does it offer its visitors? Aykut: Well, it started as a fun project and a simple website valuation tool 6 years ago. In time, users started to ask me questions about how to develop their website or web-based business, how to increase their traffic, how to make more money online and if I can give tips about SEO and social media. I was answering these questions individually, then I decided to add sections like blog, forum and expand the area we cover. At that point, I renamed it to Worth Of Web Academy. Now with the addition of sister websites and social media channels, our users can find all the necessary information, interact with other users, track their progress and even buy/sell domains and websites via our network. Mike: I’m guessing you had a need for a valuation tool at one point and there was nothing available that fit the need. Was that the inspiration behind the site? Aykut: I have a software company in Turkey called PB Bilisim which develops websites, games and mobile applications. Although it is not so active recently, 6-7 years ago we were developing websites and games heavily. We had projects mostly for our clients but for ourselves also. We wanted to compare different websites in terms of traffic, revenue and overall value. There were couple tools but I was not satisfied with them. So, I decided to code something, both for fun and for ourselves. At that weekend when I started to code this, I didn’t imagine honestly I will be doing interviews for this project many years later. But here we are. Mike: Speaking of revenue, how does the site generate revenue for you? Aykut: I have revenue from advertising and affiliate offers. Mike: worthofweb.com is a pretty good description of what the site does. 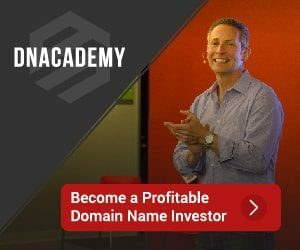 Do you own any other domain names? Mike: What tips do you have for someone to increase the value of there website? Are there small changes that can make a big difference? Aykut: I always advise to focus on user experience. As I said earlier, every website or web-based business is unique. What they have in common are their users. Focus on the people instead of money. Because focusing on making more money is the wrong approach. Money will be the result, not the reason. If you do everything right regarding the needs of your audience in the first place, you will eventually increase the value of your website. For example, it may not be the smallest change for many but making your website responsive can make it more user-friendly which in the long run affects indirectly the overall value in a positive direction. Mike: What other projects are you working on at the moment? I help run a website brokerage called Acquisition Station, I am the Operations Director there. I have a new project called My Country Is The Best where I help users compare countries. I have Suggest Me Movie, it is a movie recommendation engine. I have other projects as well, the best way to check them will be via my personal site aykutpehlivanoglu.com. There are several such tool available to check out website value. The main aim, i see fit them is that they give an overview about a website or domain name, which means that users can find out information about a website, more like of an seo tool. The worth estimation is just an assumption and should be taken as for fun, as virtually it’s impossible for any tool to determine value of any website. Only website owner or buyer can determine the price at which they want to sell or buy a domain or website. I totally agree with what you have said. These website worth calculators aren’t that stable and accurate. Only the website owner and the buyer can determine the worth of a website or domain.